Collectors, collections, collecting. Fans. And geeks, not the chicken-biting kind, but the "dilithium crystals don't work that way" kind. Back here I shared my obsession with a long gone restaurant from my childhood, Carrols. 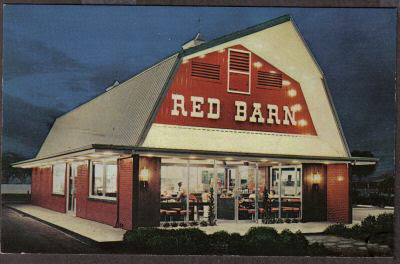 Actually, though, there was another restaurant that I remember much better: The Red Barn. Right around the corner from the Carrols of my youth, just a few steps further away from home, was a Red Barn restaurant. I think Red Barn was more of a favorite to us when I was a kid mainly because - well, aside from looking like a big red barn, they had characters - the three Hungries - Hamburger Hungry, Chicken Hungry, and Fish Hungry. (They can be seen pretty well on the cups, in this slightly different crop of the photo from my banner. 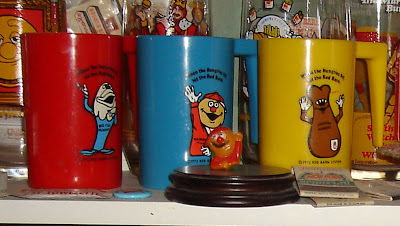 Also note the "Hamburger Hungry" ring in front of the cups). Fish Hungry didn't look much like a fish to me - more like a guy with Elmer's Glue poured over his head. And even as a 3-4 year old kid, I thought Hamburger Hungry looked a lot like Ernie from Sesame Street (giving merit to the changes requested by The Children's Television Workshop). But by far, the oddest one was Chicken Hungry, who was basically a living drumstick, face and all. They may have seemed odd, but they were fun, and I can remember going there much better than going to Carrols. I even remember that the milkshakes tasted great, and they remain my standard of what a good "real milk shake should taste like. Why then, am I more "obsessed" with collecting Carrols memorabilia? In part, I think it's because there is already an amazingly comprehensive fan site for Red Barn at barnbuster.net. 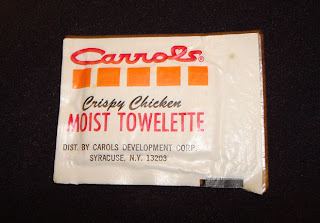 So Carrols always felt a little more in need of being preserved in my memory. 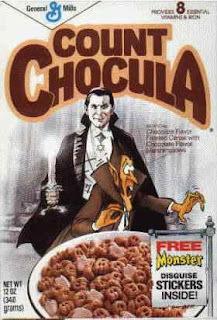 and more importantly, shared with others who remember the chain. 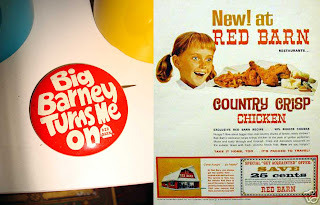 Here are a few odds and ends I've collected for Red Barn - "Big Barney" was their specialty burger. 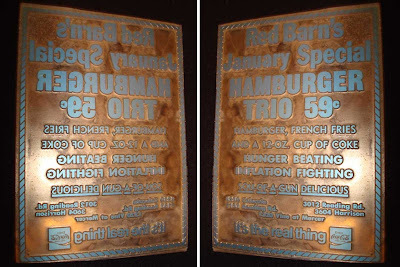 The chicken ad is cribbed from an Ebay auction I didn't win, but the metal plate for printing a newspaper ad (shown also in reverse so you can read it) is one I did win. 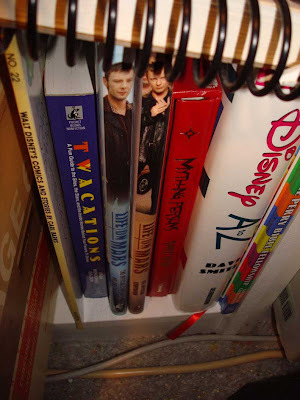 You can see a lot more at Barnbuster.net, but at least for now there are a few items I've collected that I haven't seen there yet. One item I remember well was a sheet of punch out marionettes of the Hungries that had jointed arms - you assembled them with string - that was a lot of fun to play with. I haven't seen one of those turn up online yet; I think they were pretty fragile and mostly disposed of. It's something to keep an eye out for - every time I find one of these things, it's feels like digging up an archeological relic of a long-lost era. 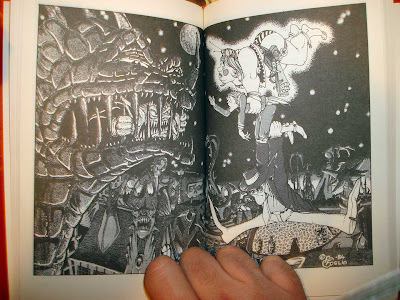 The illustration as it appears in the book. All told, I'm very happy I got this piece. 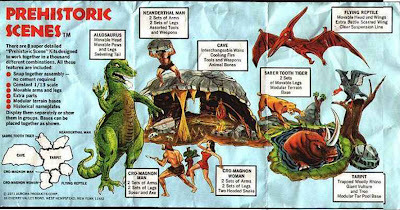 In the 70's Aurora models released a series of prehistoric model kits; I loved them. 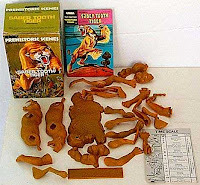 Part of the appeal was, if you got all the sets, the bases would lock together into one giant scene of caveman vs. dinosaur carnage: saber-toothed tigers menacing allosauruses without a moments worry about several million years difference in the time they actually walked the Earth. I remember at least one of my sisters liked them too, and we got several sets between us. I have one specific memory of walking over to the Variety store in our neighborhood with my parents, and them - for no particular reason apparent to my young mind - telling me to go ahead and pick out a toy. 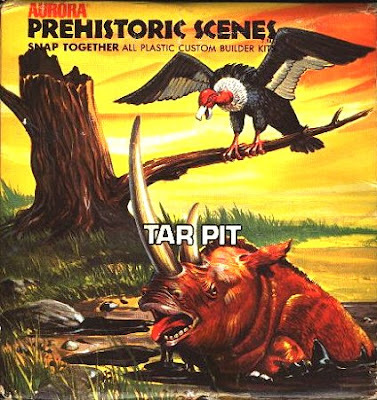 I picked the tar pit model. 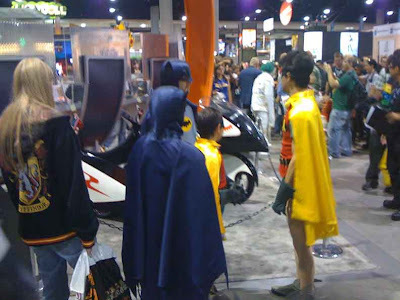 Moments like that are magical to children - every collector friend I know has at least one vivid memory of a time a parent or grandparent gave them - or more often, let them pick out for themselves - exactly what they wanted when it wasn't a birthday, Christmas, or other designated gift-receiving time. Maybe it's as simple as the first time we realized people were giving us something because they wanted to - not because they were supposed to, or we were entitled. remember us going upstairs in an old department store in Syracuse that had a cage elevator - this couldn't be later than 1972, I'd be about six. We went into the toy department to get the cro-magnon woman set. There was one and only one on the shelf and she bought it. All my Aurora are in storage right now, so these great photos are (ahem) borrowed from here, and here, and even here. 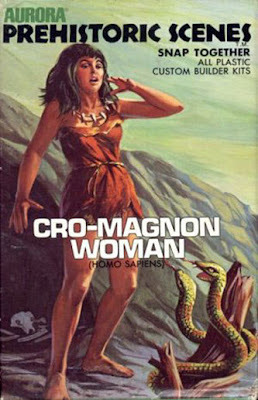 The original art for the cro-magnon woman box can be seen here. Justin (voice over): Every year, for my father's birthday, my Mother got him a piece of sports memorabilia from his wish list. The whole thing had never really made a lot of sense to her. Mom:What's the deal with this baseball card? Clerk: It's worth a lot more because they misspelled "Yastrzemski." Mom: Well that's just stupid. Ah yes, the error collectible: when something is rare because they made a mistake in production and some of them got out. This is an odd sideline of collecting difficult to explain to someone who doesn't have the bug: "So they screwed it up? Wouldn't you rather have a good one in your collection?" (Of course, any decent completist will have both). 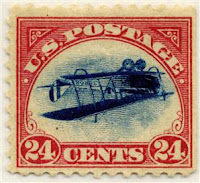 One of the most famous error collectibles is the misprinted 1918 "Upside down Jenny" stamp with the airplane printed - you guessed it - upside down. Only 100 of these were accidentally sold by the post office, all to a single collector at the time. In 2005 a single one still in good shape sold for over half a million dollars at auction. Dracula, and some people protested that it looked like he was wearing a Star of David. The box was pulled and corrected. Ironically, the story hit the news and hundreds (if not thousands) of speculators bought up the "Star of David" boxes before they disappeared, and saved them - but nobody saved the corrected version. It is now rarer than the error - I couldn't even find a scan of it to swipe online! 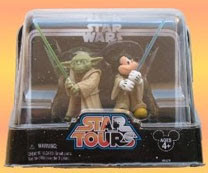 Yoda's light saber is blue. It's supposed to be green. happened to be down there, so I just couldn't resist. It now resides in my storage unit. I can't find a single error set selling on Ebay, so it's either very rare and valuable, or it's so rare that nobody knows about it - and it's kind of worth nothing. I'll hope for very rare. 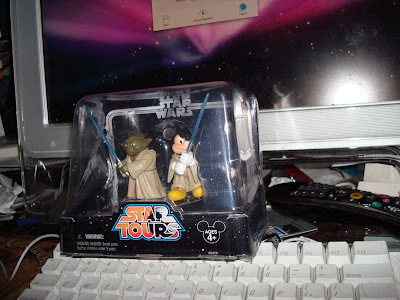 One time in my memory, though, an "error" collectible turned out to be nothing special through the simplest of reasons. 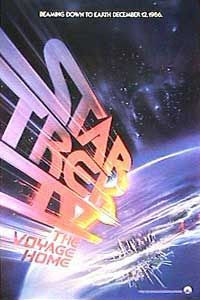 When I was a sophomore in college, a bunch of us got teaser posters for Star Trek IV that listed the release date as December 12, 1986. Sometime later, though, we heard it was changed to November 26th. Oh boy, we collectively thought, our posters are going to be worth a ton when they print the correction! The only problem? They never corrected the poster, so all the copies of it have the same wrong date, and the "error" status is negated by being the only one available. Oh well. 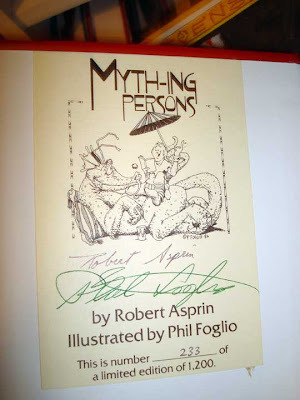 Like so many collector's who delight in the value of their items, I had no real intention of ever selling it anyways. Aliens in America, by the way, is a great show on the CW. Very funny - and surprisingly touching at times - about being a teen, high school, families, and being a Muslim exchange student in the midwest. I don't believe it's been picked up for a second season, so try to see it now while it's running repeats, and hopefully the "complete series" will be available on DVD soon. 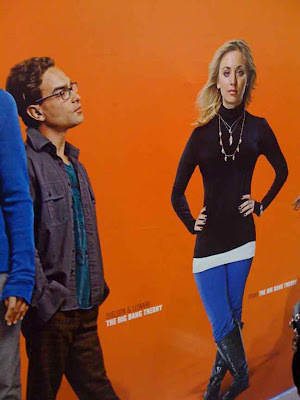 Right about noon on Saturday, it occured to me there just might be a "Big Bang Theory event at the Comic Con. I looked in the program and sure enough, there was - two hours earlier. Well, that's ok, I missed it. I haven't looked up online to see what happened there, but it seems like they gave out posters for the upcoming DVD release. 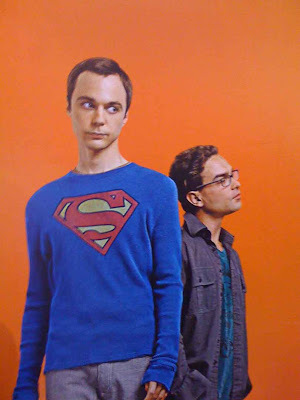 I also caught these life-sized images of Sheldon, Leonard, and Penny around back of the huge Warner Brothers booth. I'm looking forward to the new season and the DVD release, although, I confess, I have pretty much every episode still stuck in my Tivo. Elvis Trooper is Not Impressed by Tattooed Booth Bunnies. SDCC6 The greats near other greats. 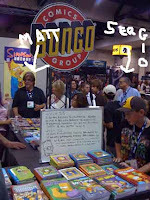 Matt Groening, creator of the Simpsons. 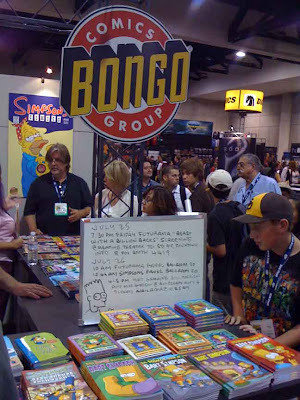 One of the real pleasures of the San Diego Comic Con is getting to mingle and talk with so many of the artists you enjoy. SDCC5: Best item at the con. display at the Profiles in History booth. They're an auction house specializing in Hollywood memorabilia. 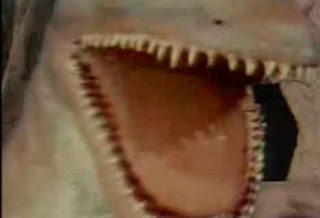 Grumpy is huge - the head is almost the size of my head - which makes it more puzzling why there was no detail at all inside the mouth when it swallowed the camera at the end of the credits each week. 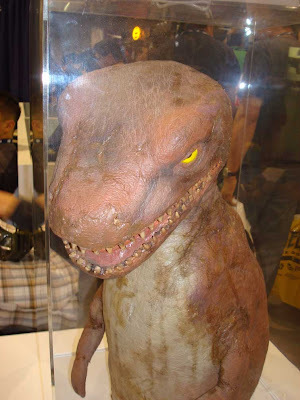 Grumpy sold at auction after the Convention for $5,000 - enough money to buy 1,000 little plastic t-rexs. But quality beats quantity. All content here is copyright it's respective creator, even the stuff that is copyright to me. Like the text. Where possible I've linked back to the creator's site, but if you object to something of yours being up here, just let me know.